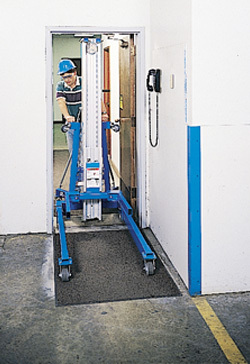 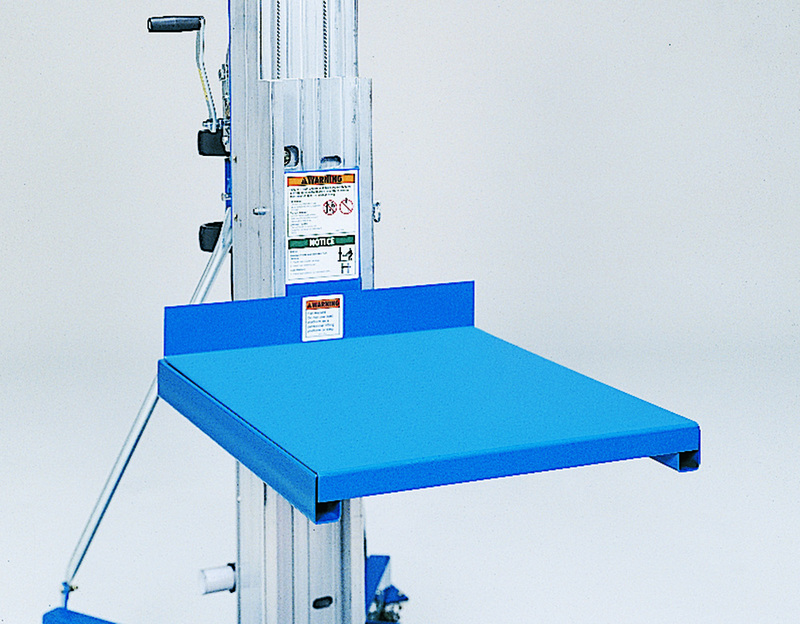 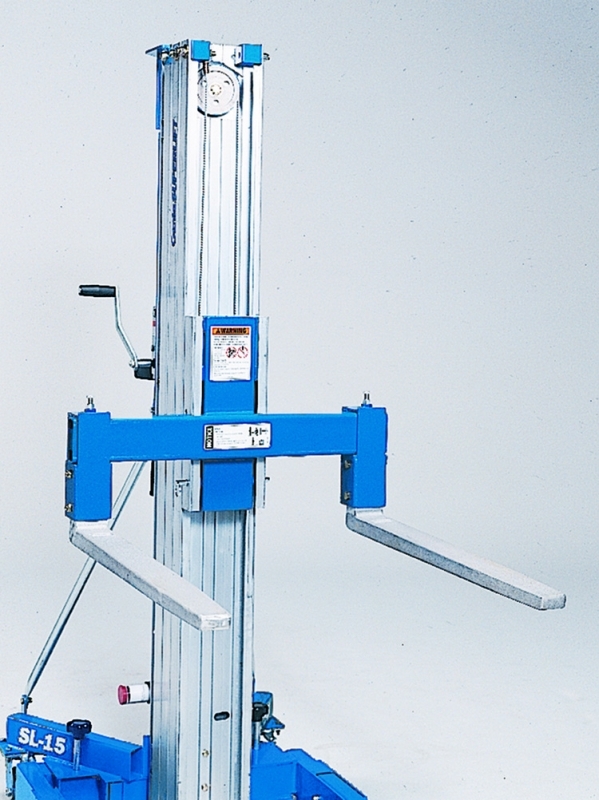 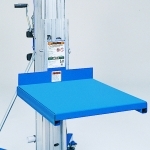 The Genie SLA5 Material Lift is a manually operated material lift that rolls through standard doorways and can easily be loaded into a commercial vehicle. 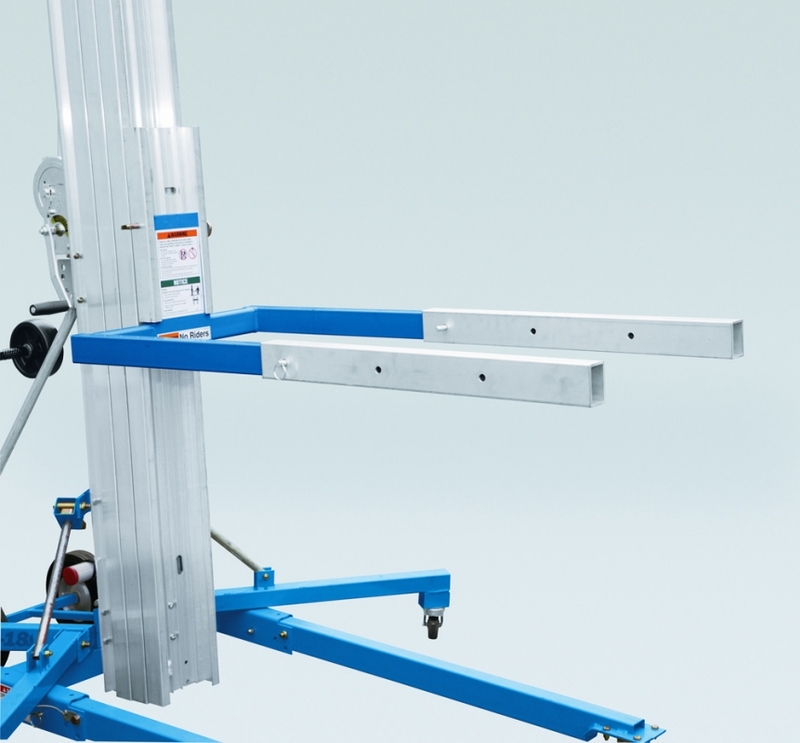 The Genie Superlift Advantage range has seven optional load handling attachments available and the Genie SLA-5 can lift a massive 454kg whilst still only weighing 98kg, making it the lightest material lift in the Genie Superlift Advantage range. 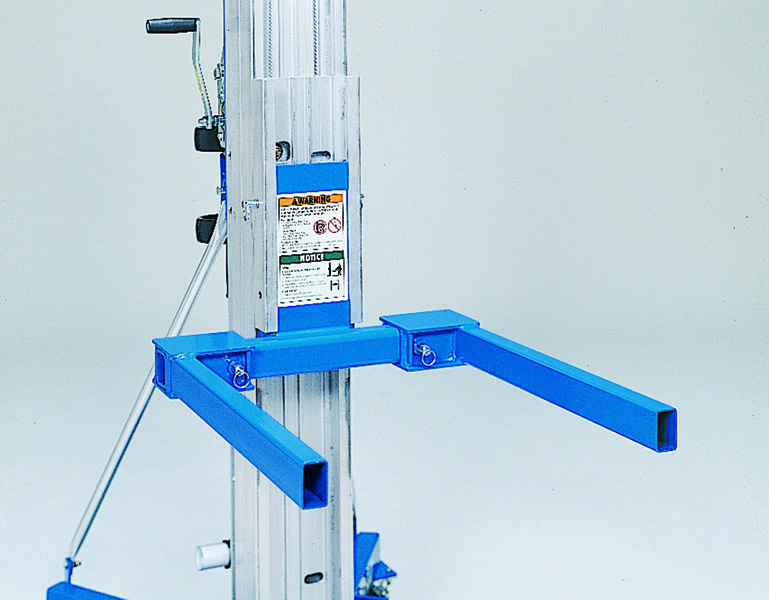 Legs fold up and attachments are removable for easy storage. 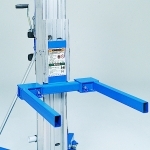 Standard forks accomodate a variety of general loads but you can get an extra 51cm of reach height be turning the forks over and re-pinning. 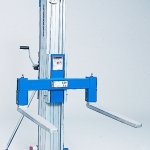 Optional SLA fork extensions for an additional 0.64m of load depth. 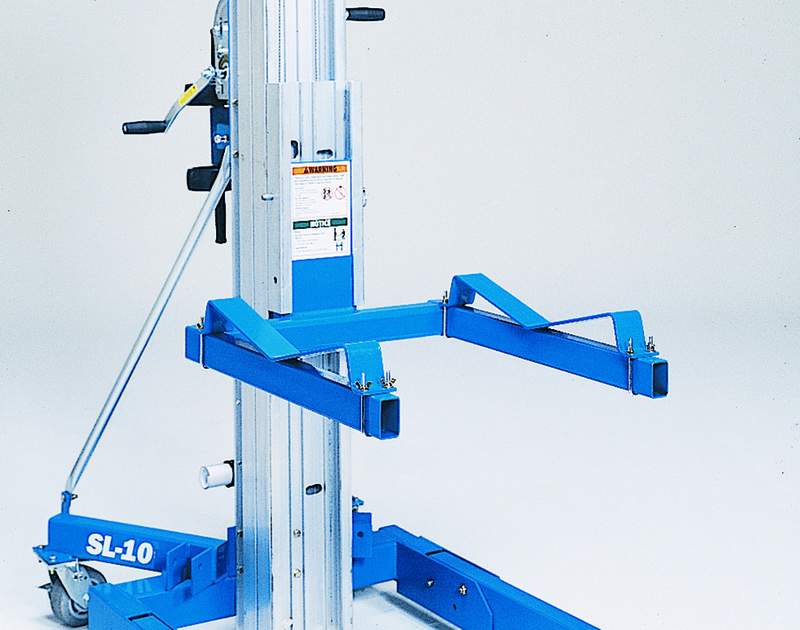 Optional Superlift load platform fits over forks to handle odd shaped loads. 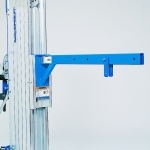 Optional adjustable forks widen to accomodate loads up to 0.76m wide. 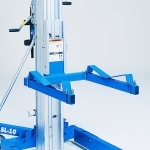 Optional flat forks widen from 0.41m to 0.79m, perfect for pallets. 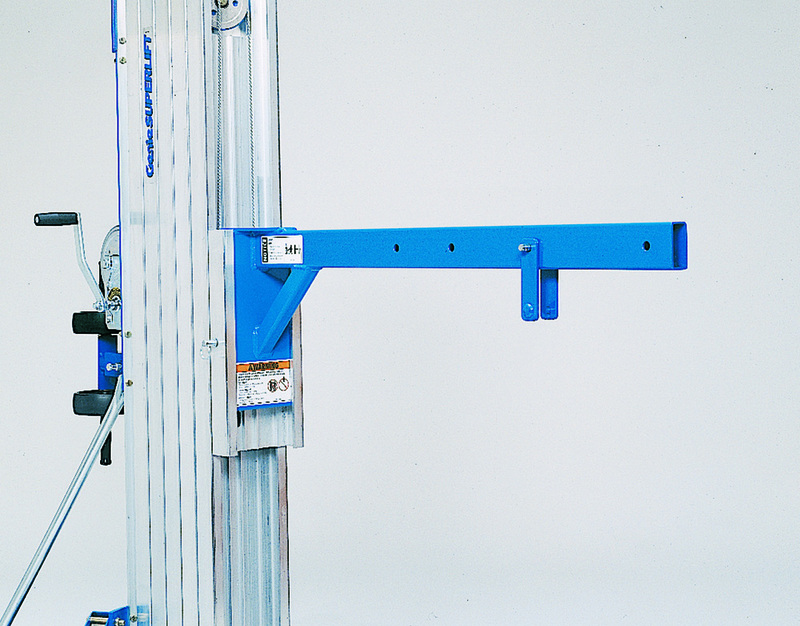 Optional boom attachment transforms your lift into a vertical crane or hoist. 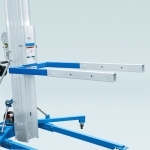 Optional rear transport wheels to assist manoeuvrability on uneven surfaces and optional captive stabilisers provide additional lateral support for heavy loads.